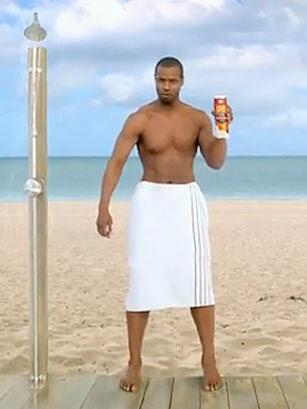 When Isaiah Mustafa donned nothing but a towel as the spokesman for Old Spice body wash, the Internet went crazy. You'll be sure to have the ladies at your beck and call with this getup. Whether you actually have the six-pack for the part, or just want to show off your beer gut, it's the easiest costume out there  just wrap a towel around your waist and go. Make sure to speak in a low baritone and say the word ladies as often as possible throughout the night. Bonus points if you arrive on a motorcycle  or on a horse. See Sesame Street take on the Old Spice guy.